At some point in the long journey of family history research, it seems a given that you will likely never know what your earliest ancestors looked like. Through the donations of others, I’ve been blessed to discover photos of my Hanneman great-great grandparents. I never thought I’d see a photograph of Philipp Treutel, my great-great grandfather who died in 1891. Now, through the kindness of a stranger from Ohio, that has all changed. Through an incredible set of circumstances, earlier this week I received a 2.5-by-4-inch photo card labeled “Phillip Treutel.” In my research, I’ve never encountered another Philipp Treutel from the 1800s, so this very much got my attention. Philipp Treutel is my great-great grandfather, via my grandmother, Ruby V. (Treutel) Hanneman. As documented elsewhere on this site, Philipp came to America in 1854 from Königstädten, Germany, and settled in Waukesha County, Wisconsin. The photo image was almost ghosted it was so light. The pigments on the card stock had flaked away and faded, but the face was still visible. There were two things I immediately wanted to do. One was to scan the image and see if I could darken the pigments and bring out more facial detail. The other was to investigate the photography studio, based on the photographer’s stamp on the back side. To accomplish the first goal, I ran the digital photo through several software programs and experimented with different tonal adjustments, filters and special effects. Many were useless or did little more than amplify the photo’s defects. But a few did improve the image, bringing out just enough detail to see his face better. The stages of digital editing show how more detail was brought from the original scan. I then turned to the photographer, listed on the back as Bankes Gallery of Photographic Art in Little Rock, Arkansas. The photo was printed on what was called a carte de visite, or visiting card. These affordable, pocket-size calling cards were popular in the Civil War era. Thomas W. Bankes, owner of the photo studio, was a Civil War photographer who initially was based in Helena, Arkansas, documenting many of the gunboats along the Mississippi River. He photographed the overloaded steamboat SS Sultana the day before it sank, killing as many as 1,800 people, including Union soldiers returning home from the war. In late 1863, Bankes moved his studio to Little Rock. He continued to photograph many Union soldiers during the federal occupation of the city in the latter part of the Civil War. This begged the question: what was Philipp Treutel doing in Little Rock? Was it during the Civil War or years after? Bankes operated a studio in the city well into the 1880s. Based on the carte de visite style of photo, it is a reasonable bet that Philipp’s photo was taken between 1864 and the late 1870s. Perhaps Philipp was visiting another brother, Peter Treutel, whom we believe settled in Louisiana or Alabama after the family arrived in America. We know almost nothing about Peter. He was born on May 14, 1837 and baptized on May 17 at the Lutheran church in Königstädten, a village south of Russelsheim, Germany. A scrapbook kept by Emma (Treutel) Carlin, Philipp’s granddaughter, says Peter Treutel settled “in the South.” So far we have no documentary evidence of this, although we have records of a man we believe to be his son living near Mobile, Alabama. Civil War records list a Confederate soldier named Pierre Treutel, who served with the Sappers and Miners. It’s unclear if this could be our Peter. Pierre Treutel enlisted in 1861 in Louisiana. Sappers built tunnels and miners laid explosives. According to Confederate military records found at Fold3.com, Pierre Treutel was a sapper in Captain J.V. Gallimard’s company of sappers and miners. Even if Pierre is the same person as Peter, it seems unlikely that Philipp Treutel would visit his younger brother during this time. As a Confederate soldier, Peter would have been subject to capture by Union forces in Arkansas. If Peter was a Confederate soldier, it could explain why the Treutel family in Wisconsin did not stay in touch with the Treutels of the South. What do we know about Philipp Treutel? He was born Johann Philipp Treutel on August 7, 1833 and baptized on August 9 in the Lutheran church at Königstädten, Germany. He had a twin born the same day, although the twin was baptized a day earlier than Philipp. This most likely means the twin died on August 8, 1833. Church records don’t list a first name for the twin, only “Treutel.” Their parents were Johann Adam Treutel and the former Elizabeth Katharina Geier. In July 1854, Adam and Katharina left Germany for America with at least several of their children. It appears that some of the Treutel boys left Germany for America between 1849 and 1852. Shortly after arriving in Wisconsin, Philipp settled in the village of Mukwonago, where he worked as a blacksmith. By 1860, he had married Henrietta Krosch and they had their first child, Adeline Barbara. At some points during and just after the Civil War years, Philipp lived and worked as a blacksmith in downtown Milwaukee. The 1863 Milwaukee city directory shows Philipp living and working at the southwest corner of Fifth and Prairie in Milwaukee. The 1867 Milwaukee directory shows him working as a blacksmith and living at 517 Cherry, right next door to his brother Henry. It is possible the Treutel family stayed in Mukwonago and Philipp shuttled back and forth, working in blacksmith shops in Milwaukee and Mukwonago. The Daily Milwaukee Sentinel in July 1863 published Philipp’s name among Civil War enrollees from Milwaukee. While we don’t know of any official evidence Philipp was a soldier during the Civil War, the July 22, 1863 issue of the Daily Milwaukee Sentinel lists Philipp as a Civil War enrollee in “Class One” from Milwaukee’s Second Ward. His name appears along with his brothers Sebastian and Henry. It’s unclear what the listing means, since Sebastian and Henry were already fighting in the South with the 26th Wisconsin. It might have merely been a draft listing. More research will be needed, since this provides at least a hint that Philipp might have been involved in the war. Philipp and Henrietta Treutel raised seven children: Adeline (1859), Lisetta (1861), Henry (1864), Charles (1869), Oscar (1874), Emma (1877) and Walter (1879). The family lived in the village of Mukwonago, where Philipp plied his trade as a blacksmith. His shop is found on the 1873 map of Mukwonago, located along the north side of what is now called Plank Road, just east of Highway 83. The family at some point moved from Mukwonago to the town of Genesee, near the hamlet of North Prairie in Waukesha County. Philipp Treutel’s blacksmith shop was located on what is now called Plank Road in the village of Mukwonago. We have little documentary evidence of their time in Genesee. The 1890-91 Waukesha city directory lists him as “P.O. North Prairie.” Philipp died there on June 15, 1891 from “la grippe,” which is what they often called influenza at that time. His brief death notice in the June 25, 1891 issue of the Waukesha Freeman was listed under Genesee Depot, which is northeast of North Prairie. The newspaper misspelled his name as “Mr. Tradel,” while a nearby condolence notice under the town of Genesee said, “In the death of Trendall we have lost a good neighbor.” Is it too late to request a correction? Philipp’s youngest child, Walter (1879-1948), is the father of our own Ruby Viola (Treutel) Hanneman. I placed the enhanced photo of Philipp Treutel next to one of Walter and noticed a strong resemblance. Discovery of Philipp’s photo is a big development for Treutel family history. Our source for the photograph said she purchased the photo card at an estate sale in Minnesota or Wisconsin. Right now we’re examining other photos in her collection to determine if any show the Treutels or their relatives from Waukesha County. Stay tuned. Philipp Treutel’s monument at North Prairie Cemetery in Waukesha County. It was one of the big mysteries in our family tree: what ever happened to Sebastian Treutel, brother to Philipp Treutel, who came to Wisconsin from Darmstadt, Germany in 1854? The only indication we had in our records was that Sebastian died around the year 1877 at age 41. We did not know a place or cause of death. Thanks to some research done by a local historian in West Bend, Wisconsin, we have more answers about Sebastian. His name appears on a Civil War monument recently placed at Union Cemetery in West Bend, where his brothers John Treutel and Henry J. Treutel are buried. The managers of Union Cemetery confirmed that Sebastian Treutel is buried in Block 2, Lot 19 of the cemetery. There is no headstone visible. 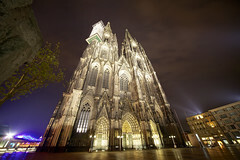 It could have been swallowed by the earth, damaged or removed sometime during the past 140 years. A Grand Army of the Republic medallion, posted in the Treutel family block at Union Cemetery, West Bend, Wisconsin. Information provided by the local historian says that Sebastian died on January 19, 1876. We are working to confirm this with evidence, such as a news clipping. The cemetery has no recorded death date. A 1937 obituary for Sebastian’s widow, Anna Sophia (Schultz) Treutel, listed the year of his death as 1877. It appears that Sebastian’s service in the Civil War weakened his constitution and might have played some role in his death. Sebastian Treutel enlisted in Company A of the 26th Wisconsin Volunteer Infantry Regiment on August 15, 1862. He was assigned the rank of private. Company A, commanded by Capt. William Georg, was nicknamed the “Flying Rangers.” Sebastian’s last name is misspelled as “Treudel” in regimental records. At the time, Sebastian was living in Milwaukee, probably working with one of his brothers in the blacksmith trade. His younger brother, Henry, enlisted as a corporal in Company G of the 26th Wisconsin, known as the Washington County Rifles. The 26th Wisconsin fought a critical battle in April and May 1863 at Chancellorsville, Virginia. According to the History of the 26th Wisconsin Infantry, Union forces at Chancellorsville were not prepared for the Confederate assault on their right flank. The 26th Wisconsin and the 58th New York tried to make a stand at Hawkins Farm. They could not hold, but fought bravely enough to give the Union time to evacuate supplies and forces. Sadly, newspapers in New York and Milwaukee unfairly tagged the men of the 26th as cowards, inaccurately claiming they dropped their weapons and ran. the Union suffered 14,000 casualties in the battle, but the Confederates lost their commanding lieutenant general, Thomas Stonewall Jackson. According to West Bend historian Bev Hetzel, Sebastian Treutel became ill during the Chancellorsville battle. The illness led to heart problems and Treutel was discharged from the war on August 18, 1863. The reason listed was disability. 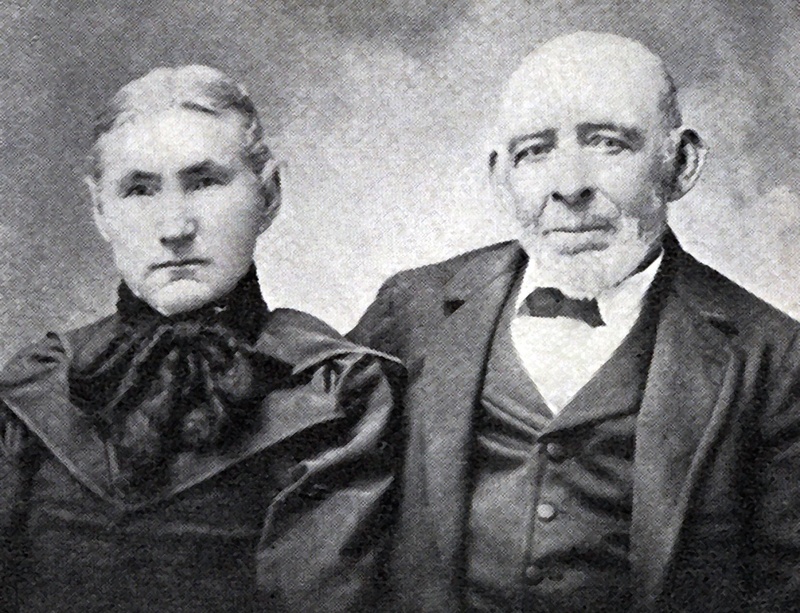 On November 18, 1867, Sebastian married the former Anna Schultz in a justice of the peace ceremony in the town of Addison, Washington County, Wisconsin. The marriage record says Sebastian was a carpenter. Witnesses to the wedding were Henry Schultz and John Russo. Parents of the groom were listed as Adam Treutel and Catharina Treutel. Parents of the bride were listed as Henry and Anna Schultz. The presider was Justice of the Peace Francis Forster, a farmer from the town of Addison. Sebastian was listed on the 1870 U.S. Census as a carpenter in Addison, Washington County. Later in the 1870s, he worked as a U.S. mail carrier, working the route from West Bend in Washington County to Theresa in Dodge County. Postal service records show his contract was annulled as of July 31, 1875. Given the suggested death date, perhaps he was ailing at the time. Margaretha Maria, born January 3, 1870. She married Louis Emil Dettmann in 1890. We do not know Maggie’s death date. Ida Magdalena, born February 22, 1872. She married Edward H. Grundmann. Ida died in 1944. Herman Sebastian Ludwig, born May 6, 1874. He married Dorothea Treutel (maiden name unknown). Herman died in 1912. Christina Henrietta, born April 24, 1876. She married Emil Joseph Weiner. Tena died in 1960. Anna Treutel remarried in 1880. New husband Carl Frederick Bohlmann was 48, while Anna was 29. They had one child, Clara (Bohlmann) Laisy (1881-1964). Mr. Bohlmann died in 1917. Anna died on August 5, 1937 in Milwaukee. 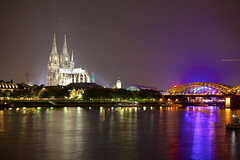 Note: The Treutel family headed by Johann Adam Treutel and Elizabetha Katharina (Geier) Treutel emigrated from Koenigstadten in the Hesse-Darmstadt region of Germany in 1854. Read more about that here. Our connection to the family goes this way: Johann Adam Treutel (1800-1859) >> Philipp Treutel (1833-1891) >> Walter Treutel (1879-1948) >> Ruby (Treutel) Hanneman (1904-1977) >> David D. Hanneman (1933-2007). Whether by voluntary enlistment or draft, the Civil War that began in April 1861 took fathers and sons away for years — and sometimes forever. Michael Kennedy of Sun Prairie, Wisconsin, was in the first wave of men to enlist after President Abraham Lincoln called for volunteers to defend the Union. The son of Sylvester and Mary Kennedy joined the 16th Wisconsin Infantry Regiment at Camp Randall in Madison on November 21, 1861. The regiment mustered into service on January 31, 1862 and left the state on March 13 en route to Pittsburg Landing, Tennessee. After several days encampment along the Tennessee River, the 16th Wisconsin was attached to the Sixth Division, Army of the Tennessee, commanded by Brigadier Gen. Benjamin M. Prentiss. Early on April 6, Capt. Edward Saxe of the 16th Wisconsin’s Company A was ordered to make an advance toward the Confederate line. Within a short distance, an enemy volley killed Saxe and Sgt. John Williams. Thus opened the deadly Battle of Shiloh. The Battle of Shiloh went down in the annals of war as one of the bloodiest ever fought. It was a turning point for the Union. For much of the day, a desperate battle raged back and forth between Union and Confederate forces. “The rebel hordes were coming on in front and flank, rolling up great columns like the waves of the ocean,” wrote Pvt. David G. James. Companies were moved in and out as ammunition and supplies ran short. Gen. Ulysses S. Grant told Gen. Prentiss if he could hold his position until sundown the army would be safe. Prentiss and his troops held until 5:30 p.m., when they were surrounded and more than 1,000 men taken prisoner. April 6 closed “at that time the bloodiest battle ever fought on the American continent,” James wrote. Prentiss’ Sixth Division suffered 236 killed and 928 wounded, in addition to the 1,008 captured. At some point in wild battle, Kennedy was seriously wounded and captured by Confederate forces. Union troops were not able to recover bodies or make a full accounting of the missing until April 7, 1862. Kennedy was held prisoner at Corinth, Mississippi, where he died from his wounds on April 26, 1862. He was 20 years old. We don’t know how much the captivity contributed to Kennedy’s death. Confederate prison camps were notorious for squalid conditions and severe mistreatment of Union soldiers. Kennedy was one of 39 soldiers from the 16th Wisconsin who later died from wounds sustained in the Battle of Shiloh. Overall, the 16th Wisconsin suffered 62 dead and 189 wounded in the battle. Kennedy is buried at Sacred Hearts Cemetery. 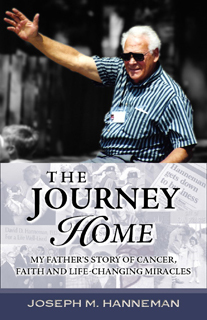 In every community you will find inspiring stories of courage, faith and perseverance. And so it was the case when I researched the 1863 founding of my hometown parish, Sacred Hearts of Jesus and Mary Catholic Church in Sun Prairie, Wisconsin. The project lasted several months, and turned up many fascinating stories from the mission-territory days of Wisconsin in the mid-1800s. 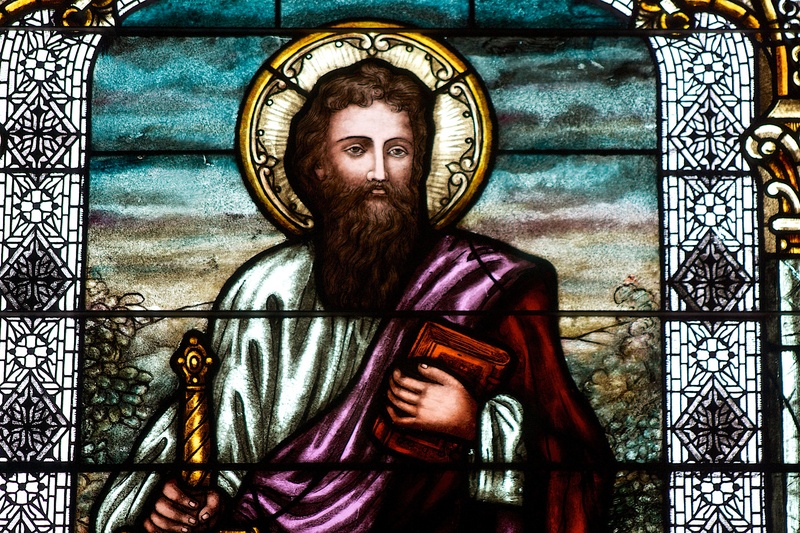 Stained-glass depiction of St. Paul, from Sacred Hearts of Jesus and Mary Catholic Church. Full confession (pun intended): I served as an altar boy for years at Sacred Hearts in the 1970s, and graduated in spring 1978 from the fine Sacred Hearts School. The current church, the third edifice in parish history, has some of the most stunning stained-glass windows you will find outside of a cathedral. That’s what initially drew me to the history of Sacred Hearts. 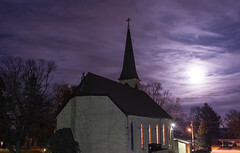 The church was founded during the second expansion of Catholicism in Wisconsin (the first being black-robed Jesuit missionaries who explored the territory in the 1600s). Much of the area at the time was untamed wilderness, now being colonized by immigrants from Ireland, Germany and other parts of Europe. Rev. Francis Xavier Etschmann said the first Mass in Sun Prairie at the home of James Broderick. The early missionary priests rode circuits hundreds of miles long, often saying Mass in private homes or rustic buildings with no roof. 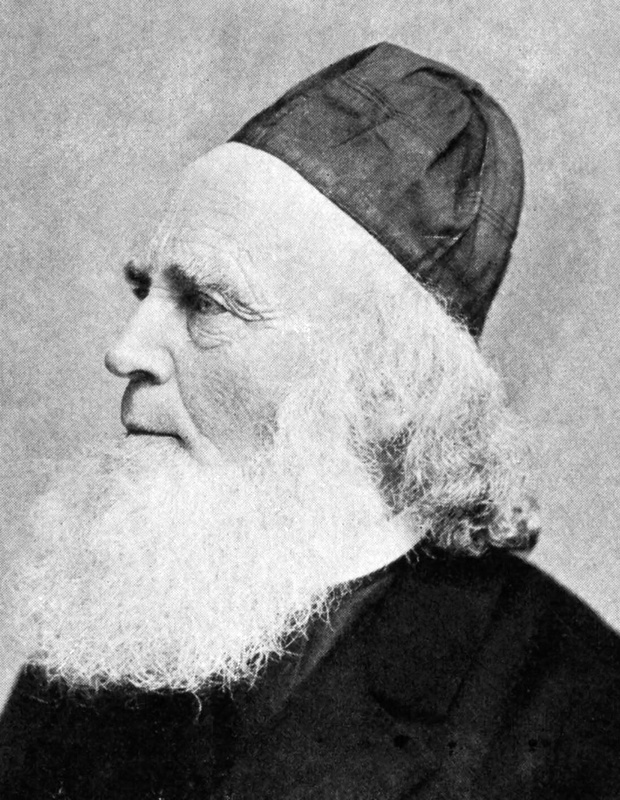 Father Martin Kundig, an indefatigable traveler and founder of many Catholic parishes in Michigan and Wisconsin, had an uplifting experience in 1843. The faithful gathered in a private home for Mass overloaded the floor, and everyone except Father Kundig crashed into the cellar. The people reached up and supported the priest, standing on a narrow plank, so he could finish saying Mass. These pioneers led often difficult lives. The John Sprengel family lost three children to diphtheria within one week in 1882. Emerand Aschenbrucker lost his first wife during the birth of their daughter, Anna, in February 1867. Nicholas Mosel lost his wife to typhoid fever at age 54. The church brought comfort to these grieving families, offering the sacraments and a reverent burial for the departed. Founding Sacred Hearts parishioners Mary and Michael Conley. The Civil War affected every aspect of life during Sacred Hearts’ early years. Two young parishioners died during their wartime service, including one who was wounded in the 1862 Battle of Shiloh and died in a Confederate prison camp. Another died on a furlough in 1864. He was just 15. A third was wounded in the Siege of Petersburg, Virginia, in June 1864. The 28-page e-book can be found at http://www.catholicpioneers.com. When you set out to research a topic, you never know just what you will find. 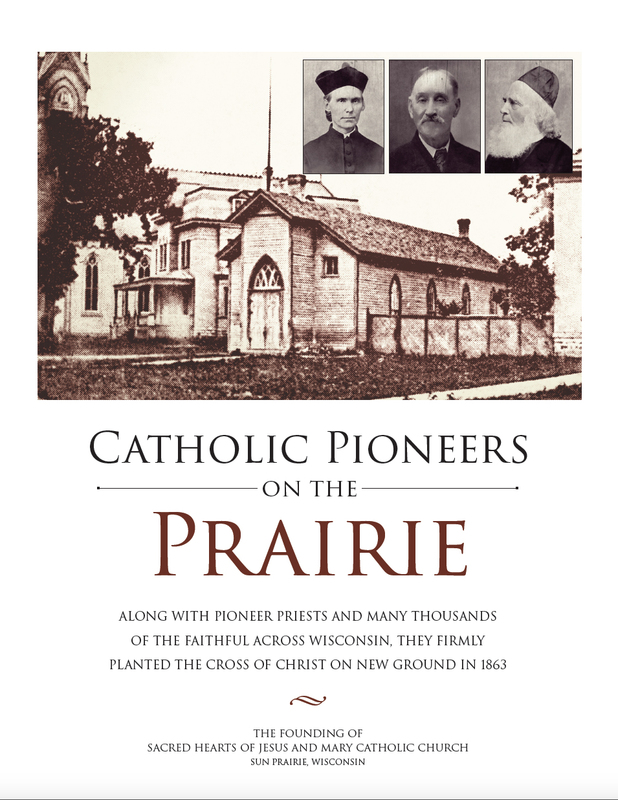 I found a very fascinating story in the “Catholic Pioneers on the Prairie,” which is what I titled the 28-page e-book that grew out of my research. I invite you to read the whole thing at Catholic Pioneers. View it online or download the e-book as a PDF file. It would be easy to say that Julius Rudolph Hannemann lived his life with a boom. There were likely many in Washington, D.C. in the 1870s and 1880s who wished he hadn’t created so many of them. 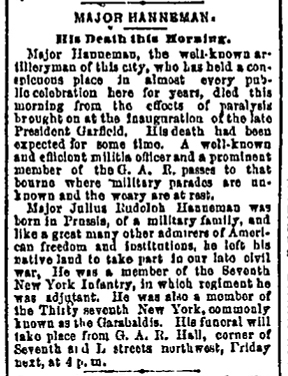 As president of the district artillery corps, Maj. Hannemann provided the ceremonial explosive huzzahs at civic events from decoration day to the inauguration of presidents. On New Year’s Eve 1875, his corps fired a 37-volley salute to the new year in Judiciary Square. According to one news account, “the ammunition for this purpose having been furnished by the War Department.” On September 18, 1880, a platoon fired a 200-gun salute to commemorate the Republican victory in Maine, according to a front-page article in the The Evening Star. In 1879, President Rutherford B. Hayes approved Hannemann’s promotion from second lieutenant to captain. Hannemann was later promoted to major. The Evening Critic carried the news of the major’s death on Page 1. Hannemann was born in Prussia in 1842 to a military family. Upon emigrating to the United States, he volunteered for duty in the Civil War on May 17, 1861. He served with the 39th New York Volunteer Infantry Regiment, known as the “Garibaldi Guard.” He started as a private, but by March 1865, he was a 2nd lieutenant with the 7th New York Infantry Regiment. In June of that year, he was named adjutant of the 7th. We don’t know of any link between Julius Rudolph Hannemann and the Hanneman family that came from Pomerania to Wisconsin in the 1860s. 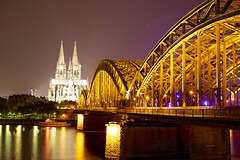 The major seems to have come from an area in the Kingdom of Saxony, south and west of Pomerania. 1860s1870s1880s39th New York Volunteer InfantryCivil WarGaribaldi GuardGermanyHannemanhistorySaxonyWashington D.C.
His death was given only passing notice in the Wisconsin State Journal, the state’s official newspaper. “May he rest in peace,” the brief item from April 9, 1864 read. So it was the unwritten that was truly remarkable in the all-too-brief life of James Moore, soldier of the Wisconsin 12th Infantry Regiment in the Civil War. The son of Irish immigrants who settled to farming in the Town of Sun Prairie, Moore was just 14 when he enlisted in Company I of the 12th Infantry Regiment in late September 1862. Moore and Lemuel C. Neal of Sun Prairie enlisted together at Camp Randall on September 29, 1862. Moore was a boy who went to fight in a man’s war — a theme that would be repeated, most especially in the “war to end all wars,” World War I. His youth, just five months past his 14th birthday, seems quite remarkable for an infantry private. The sacrifice of his very young life in the fight to save the republic should always be remembered. 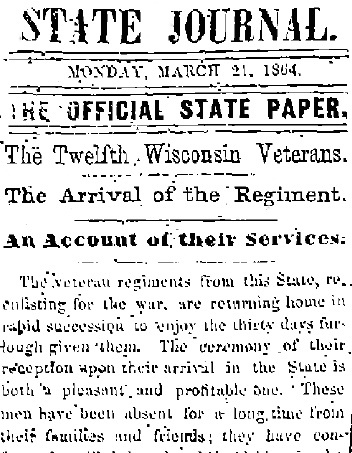 The Wisconsin State Journal covered the return of the 12th Infantry Regiment on March 21, 1864. Moore saw combat and the horrors of America’s bloodiest war, although the 12th Infantry Regiment did not take part in the most famous battles of the Civil War. These men rebuilt and guarded key railroad lines, supported the battle of Vicksburg and took part in General Sherman’s Meridian Expedition in February 1864. That month they marched 416 miles, aiding in the capture and destruction of Jackson, Brandon and Decatur as they proceeded to Meridian. “A shell exploded in the ranks of Company I, killing Eugene Baldwin and W.H. Murray, wounding O. Lind, J.W. Dean, John Thorp and George Everett,” read the account in the 1866 Military History of Wisconsin. 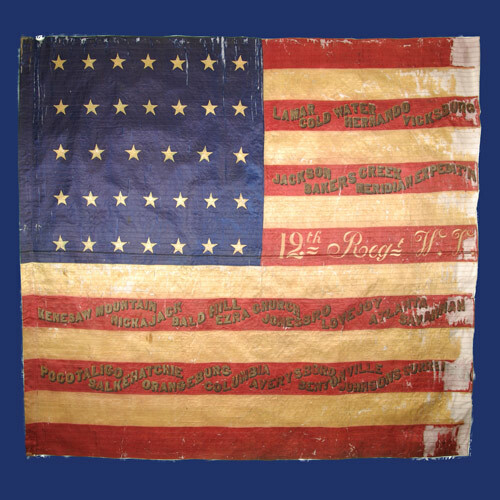 The battle flag of the Wisconsin 12th Infantry Regiment is held by the Wisconsin Veterans Museum in Madison. 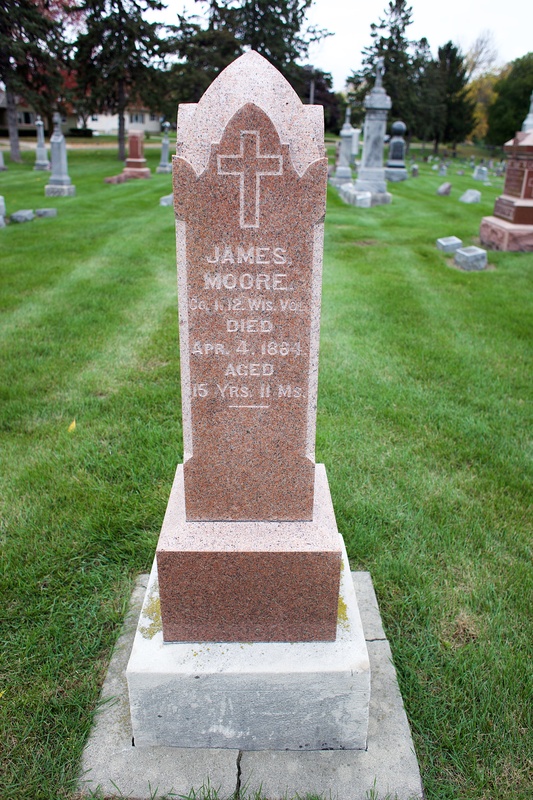 The grave marker of James Moore at Sacred Hearts of Jesus and Mary Catholic Cemetery in Sun Prairie, Wisconsin. The soldiers of the 12th were discharged to their homes on Thursday, March 31. It is a safe assumption that Pvt. Moore was ill when he reached his family farm in the Town of Sun Prairie. He took to bed. His death on Monday, April 4 came before he had any chance to enjoy the well-deserved furlough. We don’t know what disease or illness claimed his life, or if he was exposed to it in battle, on the train ride home or at Camp Randall. His funeral Mass was held at Sacred Hearts of Jesus and Mary Catholic Church, which his father helped to build just a year before. His parents and two sisters had the sad duty of burying young James just as Wisconsin shook off the winter of 1864. 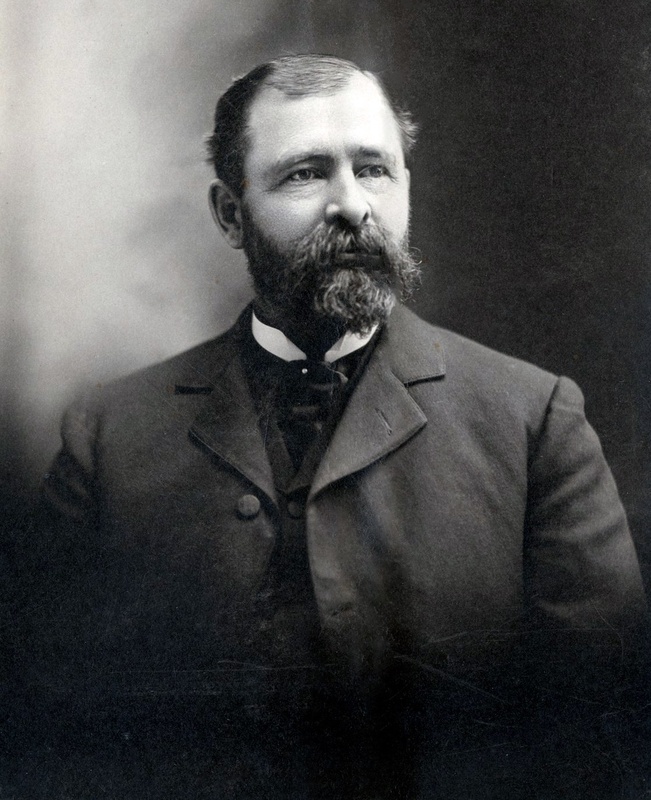 James Moore was born in Ohio on April 15, 1848, the only son of Mathew Moore and the former Catharine O’Neill. His parents emigrated from Ireland and spent some time in Ohio before settling on a 37-acre farm on the western edge of the Town of Sun Prairie in May 1850. Mathew and Catharine carried the loss of their son with them every day. Around 1875, the family left the farm and moved into the village of Sun Prairie, where Mathew died on April 28, 1891. Mrs. Moore died on Feb. 22, 1907 at age 93. Their daughters, Margaret Moore and Sara (Moore) Flavin, are buried near their parents — and their soldier brother — at Sacred Hearts of Jesus and Mary Cemetery in Sun Prairie. Moore was among the more than 224,500 Union soldiers who died of disease, exposure or other non-battle causes in the Civil War. According to the Wisconsin Historical Society, the state sent more than 91,000 boys and men in 56 regiments to fight in the War of the Rebellion (1861-1865). More than 12,000 died, including nearly 8,500 from disease. His compatriot Lemuel C. Neal survived the war and went on to live a long, productive life. The son of Thomas Neal and the former Olive Dolley, Lemuel was one of nine children in the Neal farmhouse when he left home to enlist in the fall of 1862. He mustered out of service on May 31, 1865 and returned to Sun Prairie. His mother fell ill that fall and died on October 29 at age 45. The family left Wisconsin for Iowa, and eventually Lemuel settled in the Town of Turtle River, North Dakota. He married the former Ellen Forest and started a family. He kept moving west, later settling at Lewiston, Idaho. In 1896, he was awarded a patent for a clothespin by the U.S. patent office. Neal again moved west, settling in Oceanside, California before eventually moving to Santa Ana. Neal and Ellen had two sons and two daughters. Ellen died in 1920. Neal remarried in February 1921, taking Clara Skelton Jones as his bride. Neal was hospitalized at the U.S. veterans hospital in Sawtelle, California in 1922, suffering from heart disease and high blood pressure. At the time, records listed his occupation as a merchant. He died at that same hospital on February 13, 1936. He was 91.